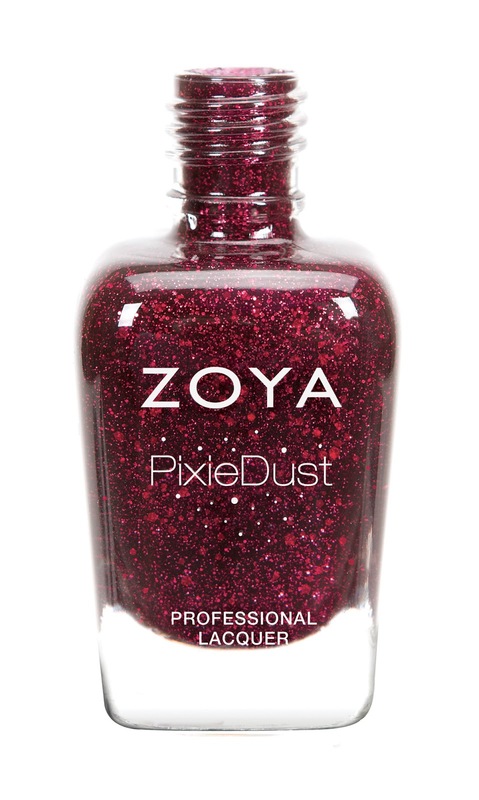 Press Release: @ZoyaNailPolish Fall Ultra PixieDust! Meet the next generation of our best-selling textured, matte and sparkling Zoya PixieDust formula ­Zoya Ultra PixieDust! Three shades featuring both fine micro glitter and mega hex particles for tone on tone 3D effects. This easy glam nail is available in 3 shades in a gradient of red, wine and plum hues. No base or top coat required. ZP764 ­ ARIANNA: Blue-toned red wine, textured PixieDust with Mega Hex Particles. See the Zoya How to apply Zoya PixieDust Video for more great beauty tips and tricks to use when applying Zoya PixieDust.